Bees are an important and often neglected part of our environment. Just take a moment to consider how these tiny creatures, with relatively short life spans, are responsible for a large percentage of pollination. Sure, birds and other bugs play their part too, but bees are the most well-known pollinators of all. Bees are known to fly as far as 7 miles in search of pollen. That said, the ideal distance to venture is less than 4 miles. For anyone planning on farming with bees, it’s important to look for advice on beekeeping for beginners. Tending to bees is not just about setting up a hive and reaping the benefits. There’s a lot more to it, and it’s up to the beekeeper to ensure that they are well-informed before any preparations are done. Beekeeping began centuries ago. 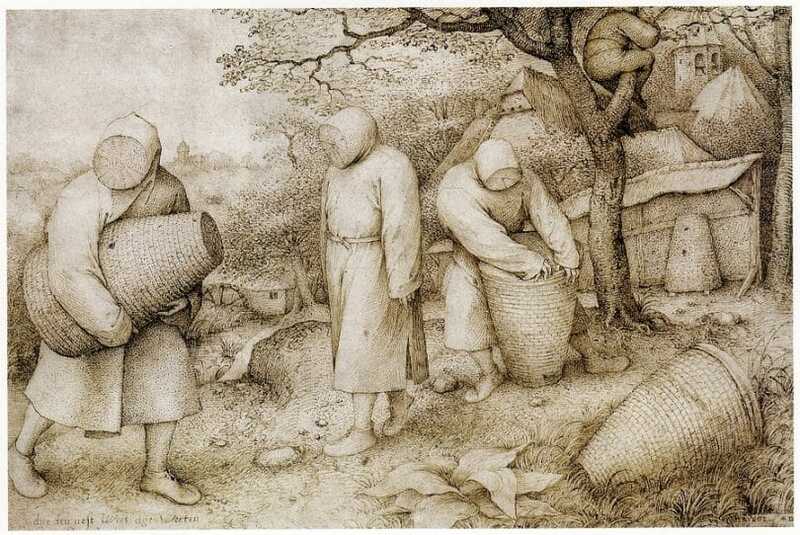 The initial man-made hives consisted of straw baskets, also called “skeps”. Bees were kept during Ancient Egyptian times and, on the walls of the Sun Temple (Nyuserre Ini), you can still see depictions of workers blowing smoke into these man-made hives and removing the honeycombs. In the tomb of Pabasa there are depictions of honey being poured into jars and, in tombs like that of Tutankhamun, pots of honey were discovered. 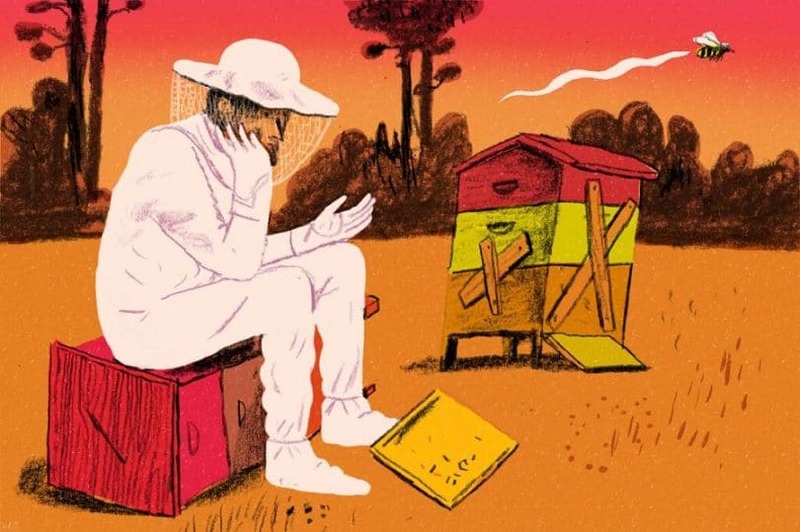 Beekeeping became a common practice in other parts of the world as well; including Greece, China, and Israel. The Mayans were first to domesticate a special kind of stingless bee. Obviously, the main advantage of these bees is the fact that they cannot harm you. In Australia, stingless beekeeping is still commonly practiced in order to produce honey (source Wikipedia). Just as honey has no expiration date, so too can we expect the practice of beekeeping to continue for centuries to come. Check out our piece on how to raise honeybees to give you plenty of options. Honey is obviously the most popular reason that attracts people to this practice. Depending on the number of bees that you have, you can reap quite a sweet reward on a regular basis! See the many benefits and uses of honey in this our previous topic – it’s a great read! Bees will naturally seek out the closest supply of pollen so, if you plant some colorful flowers in your garden, the bees will keep your garden healthy and thriving. If you plant crops, they will also help with pollination which will increase your crop yield. Some beekeepers intentionally allow themselves to be stung on certain parts of their body from time to time. Bee stings are known to treat a variety of ailments, but it’s important to ask your medical practitioner first. Bees are suffering due to excessive human intervention. 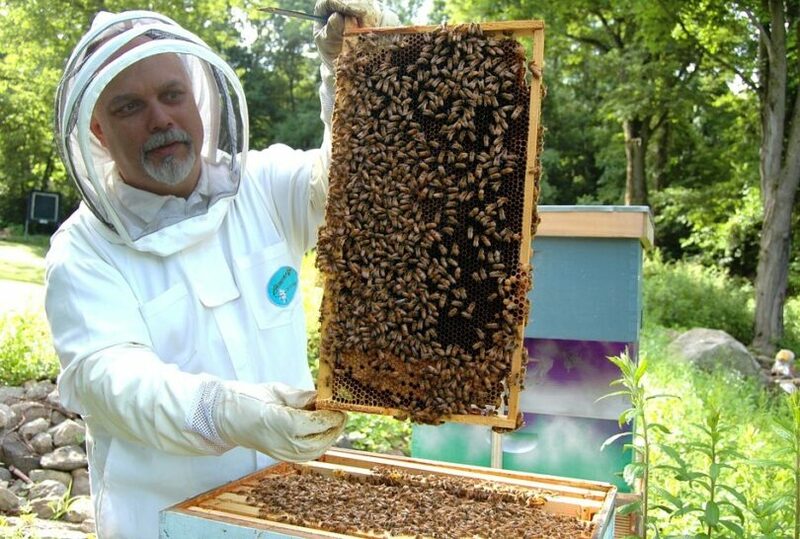 For this reason, the best way of ensuring their survival is through another sort of human intervention – beekeeping. We depend on bees, and now they need our help to protect them from things like pesticides and land development. Some even say that tending to bees helps them keep their stress levels to a minimum. This makes sense because, when you’re handling the hive, you need to be extremely calm and patient so as not to cause a stir. Stings are the most obvious of all. If you are afraid of stings, sensitive to them, or simply don’t like the idea of that painful jab, this can be a real turn off. Fortunately, we have some great protective gear available, so there’s no need for unnecessary risks. Don’t forget to check out our piece on bee sting treatment to prepare you for any emergencies. Hives take up space on your property, and you need to own a large enough property that the bees won’t be kept right next to your house. Bees, like many other insects, are to lights at night so they could easily find their way into your home. If you have young children or anyone allergic to beestings, then this is not something you may wish to pursue. Allergies to these stings are extremely dangerous and can result in death if not treated immediately. If you choose to proceed despite these risks, you may want to consult with your doctor about the use of epinephrine injections (also called Epi-Pens). 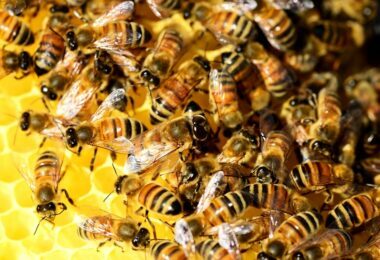 They are used to treat multiple allergies that, like beestings, result in anaphylaxis. There are a number of risks that need to be considered if you are thinking of keeping bees. As previously mentioned, stings and allergies pose the greatest risk of all; particularly if you have small children with allergies. It’s important to remember that bees are highly territorial and, while they generally mind their own business, they won’t hesitate to strike if they feel threatened. Poking the hive is one sure way of making the buzzing residents angry and, when they get mad, they are relentless revenge seekers! It’s important to understand that worker bees will always do whatever it takes to protect the queen. She has a unique connection with every bee in the hive, and they have an instinctive responsibility to her. Make sure you read our article on the best first aid kits to make sure you have appropriate treatment available. If you have pets, it’s important that you position the hive (or hives) in such a way that they cannot reach them. If your dog takes a keen interest and starts sniffing around, he could be the victim of dozens of painful stings. For anyone looking into the wonderful world of beekeeping, you will notice that there are a number of tools and supplies that you’ll need to buy. For the most part, the main financial investment is required in the beginning but, once you get started, you can enjoy a significant return on your investment. The first thing you will need to do is make a list of all the supplies you will need as well as how much everything will cost. 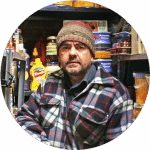 You will need to invest in the correct, durable supplies which might sound expensive so some but you cannot put a price on quality honey and hives that stand the test of time. 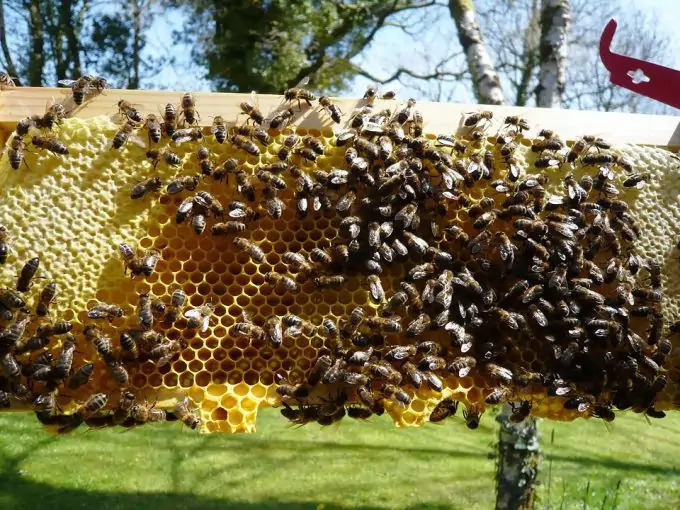 Some basic supplies you need include a hive stand, an entrance reducer, two brood chambers, a queen excluder, honey supers, an inner cover, and an outer cover. For honey harvesting, you will need a smoker. They consist of bellows attached, and you build a fire inside the cylinder. Protection is extremely important and suitable equipment is available in a variety of sizes – including children’s sizes. The first thing to invest in is a suit. This will ensure that your body is protected from stings and bees cannot enter the suit. 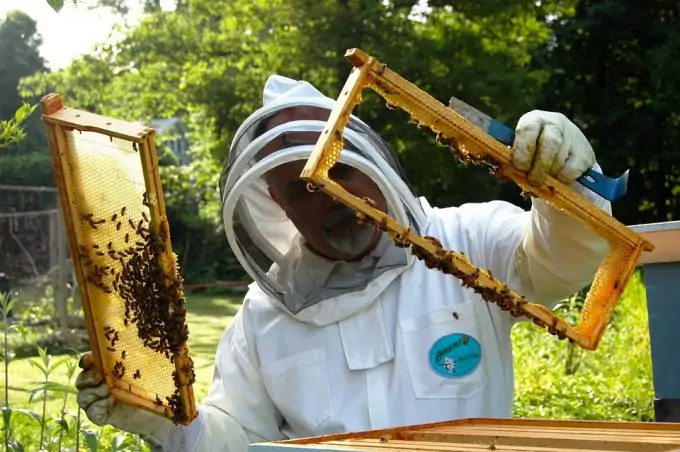 A beekeeping hat with tie-down veil is also essential. You might not see them as a great fashion accessory, but they will protect your face, eyes, and mouth from nasty stings. Gloves are also important since you will be physically handling the hives. With the correct clothing, tending to your bees won’t present a risk you can take the time to enjoy your time outdoors. Choosing the right location for your hive is essential. Not only do you need to take things like the sun into account, but you also need to think about other factors like your neighbors. You don’t want a buzzing hive right next to your home. This will present a significant risk if bees come too close or even inside your home. 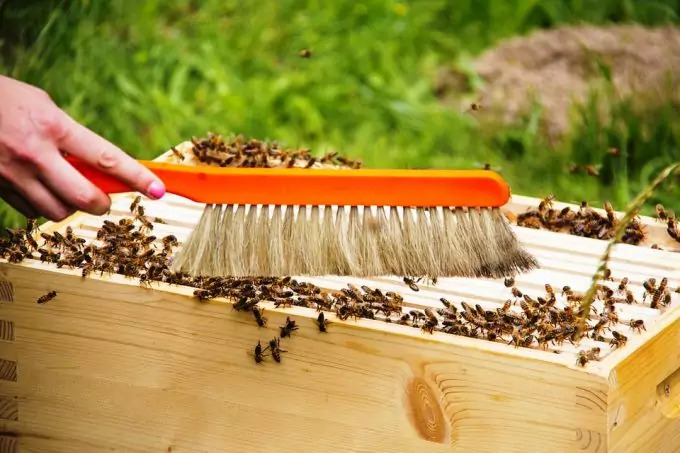 If your hive is located too close to your neighbor’s home, you could put them at risk and your once friendly neighbor could become more than just unpleasant. Find a happy medium and try to ensure that your hives are also nowhere near the areas accessed by your pets. The last thing you want is for your dog’s curiosity to get the better of him! Hives can be placed behind hedges since the bees will learn to fly over them. Hedges are great for keeping pets and children from getting too close. Feel free to plant flowers, fruit trees, and bushes nearby. Not only will you be providing your bees with a nearby food supply, but they will repay the favor by pollinating your garden! Begin by positioning your hive stand and adding an entrance reducer. If you are planning on adding a feeder (with sugar water) to get your colony started, you will need to make some adjustments to the entrance reducer. Next, you can stack two brood chambers on top of the stand followed by the inner cover and outer cover. The inner cover allows for some ventilation while keeping hive temperatures comfortable. The outer cover prevents rain, snow, and contaminants from entering the hive. Let your bees make themselves at home and wait until the brood chambers are at least 80% full of honey before adding the honey supers. You will need to remove the inner and outer cover before adding a queen excluder. The queen is larger than the rest of the bees which means that she will be restricted to the brood chambers, and the workers will be able to enter and exit the supers. Add several supers with 8 frames on which the bees will deposit their honey. Don’t add more than 8 frames or the super will be really heavy and difficult to move once it’s full. Place the covers on and let your bees continue their work! You can retrieve the honey from the supers when they are well stocked. Just take care not to disturb the brood chambers. The honey in these two boxes will be enough to feed your bee colony over the winter and, when the spring arrives, they will get to work again to produce even more. Remember, if you intend on painting your hive, you should use non-toxic substances and do so before your bees arrive. The last thing any beekeeper wants is for all their hard work to be for nothing. This is why it is so important to protect your colony from these significant dangers. Start by evaluating your surroundings and figure out what sort of wildlife live in your area or even close by. For example, if you are aware of bears in the vicinity, you should start by setting up an electric fence before you even begin hive construction. If the bears get to your honey before you have the chance to enclose the area, they will be more inclined to charge through the fence no matter the consequences. While bears will raid a hive in search of honey (much like Winnie the Pooh’s insatiable sweet tooth), skunks actually enjoy eating the bees themselves! Bears will destroy the hives to get to the honey while skunks will provoke the bees into leaving the hive and, as they exit, the skunks catch and eat the bees. In order to keep skunks at bay, you should make sure that your hive is properly elevated. Skunks aren’t climbers, fortunately, so you will only need to make sure that it’s out of reach. Other animals might not be actual predators, but their curiosity could result in devastating hive damage and unnecessary stress to the colony. For the sake of everyone’s safety, it’s important that you restrict access to the hive. Just a reminder, when it comes to harvesting honey, you must never remove the honey from the brood chambers if you want your hive to continue to flourish for years to come. Before you get started, you should prepare your smoker and put on your protective gear. Follow the instructions for your smoker and remember that you are not trying to build a campfire. You are actually trying to produce smoke that will help you evacuate the bees. The best smoke is produced by slowly burning pine needles and similar dry plant material. Make sure that all of your protective clothing fits properly and that there are not gaps where bees might find their way inside your suit. These suits and protective accessories are specially designed to keep you safe from stings. That said, it might feel strange at first since your first instinct, when faced with a swarm of bees, is to run. Take your time and don’t rush. Take your time to remove the honey supers one by one. Once they have been removed, you can remove the frames one by one and replace them with new frames so that your colony can continue producing more honey while you clear the first batch from the frames. The honey on the frames will be capped. 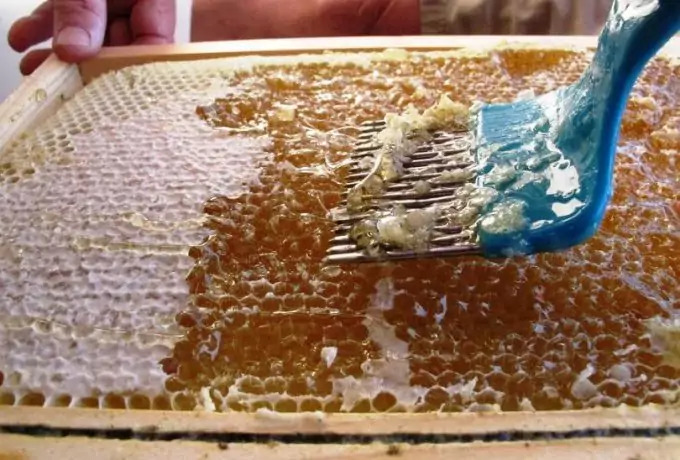 This means that it will be covered with a layer of wax which prevents the honey from leaking. You will need to remove the wax (preferably with a large heated knife) before placing the frames in a honey extractor. After extracting the honey, you can pour it into bottles or jars and store for future use or even sell if you want your bees to provide an even higher return on your investment. 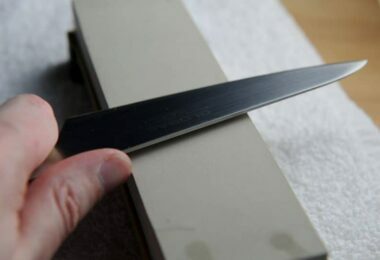 If you do not want to buy a honey extractor or heated knife, you can scrape the wax and honey off using a large spoon. Do so gently so as not to damage the frames. Once all the honey and wax has been harvested, you will need to use a large strainer and allow the honey to separate the clear honey from the wax. Just because you can’t eat the wax does not mean that you should discard it altogether. 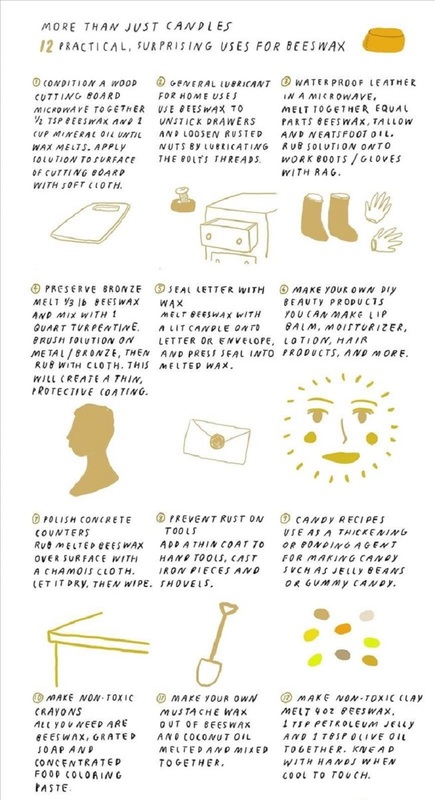 There are some fantastic uses for beeswax, and all you need to do is make sure that it is cleaned (all debris and honey residue removed) before putting it to use. There are several ways of purifying the wax. Depending on the weather conditions in your area, your honey bees may need to retreat for the winter. Warmer regions that don’t really ensure freezing conditions or snow might notice different habits and these bees might remain quite active throughout the year. It’s a good idea to insulate the hive before the winter sets in. In the wild, honey bees remain protected by the insulation offered by tree trunks or caves. Your hive will not offer such heat retention if remains unprotected. The honey in the brood chambers will keep your colony well fed throughout the winter. If you like, you can add an extra brood chamber if your area endures particularly harsh or long winters. The bees will naturally huddle together inside the hive to stay warm and they will re-immerge once the weather conditions improve. Every time you harvest honey, you should inspect the boxes as well as the frames. If you notice any kind of degradation or damage, it’s best to replace these parts of the hive. Wood needs to be treated before your bees arrive but, even then, you might notice the weather taking its toll. The last thing you (or your bees) need is mold or any kind of fungus taking hold. If you notice any kind of fungal growth on the wood (inside or out), make sure that you discard it immediately. 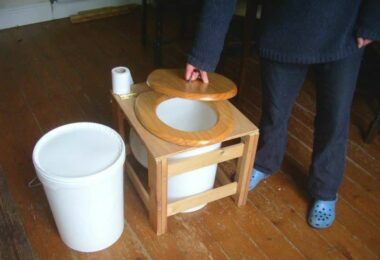 If you try to clean it, you will only remove the fungus from the surface, and it will still be imbedded in the wood. Some types of fungi are harmless, but many can cause problems for your colony and your health as well. Everything in this world has, at least, one natural predator. This is nature’s way of ensuring balance and order as well as survival of the fittest. Bees can be affected by a number of factors and, while some will simply cause them to retreat, others can result in a diminishing colony. Cold weather usually causes bees to retreat to their hive where they will live off their honey stockpile until the spring arrives. They also don’t particularly like the rain so you can expect to see little to no movement on rainy days. 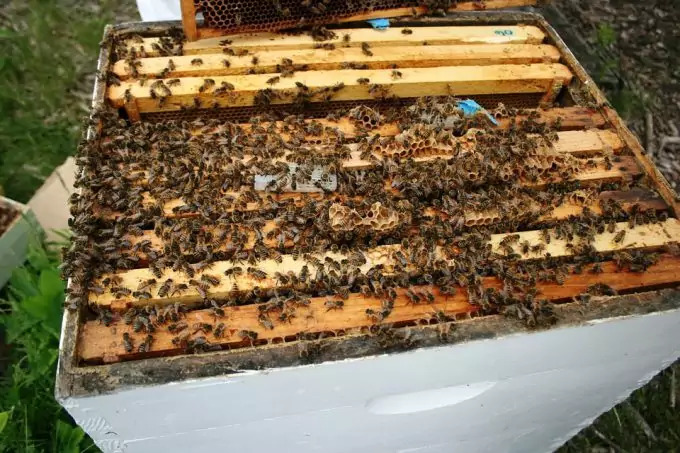 Bears are unafraid and will completely destroy a hive in order to get to the honey so make sure that you take the correct preventative measures. Skunks actually enjoy eating bees and will provoke them into leaving the hive so that they can enjoy an all-you-can-eat buffet. Keep an eye out for small hive beetles too. They enter the hive and can cause serious damage. When these beetles defecate on the honey, it actually reacts with the honey and causes it to become more liquid. The honey then runs out of the hive and is not only lost but also contaminated. Hives also need to be treated and placed on the correct supports in order to prevent mold and other parasites from taking hold. Once your hive is all set up and the colony has stocked up on enough honey to last them through the winter, it’s your turn to enjoy the fruits of your labor! Honey is not only a delicious treat. It can also be used as a substitute for other sweeteners like sugar. Honey will never expire provided you store it correctly and prevent it from coming into contact with any contaminants. Other benefits of honey include antioxidant, antibacterial, and anti-fungal properties. Honey can be enjoyed every day as an immune system booster, and you can consume extra honey to help your body recover from the flu or a cold. You can also keep your digestive system healthy thanks to the probiotics found in honey!